This article is 2953 days old. Parishioners of Windsor’s historic Assumption Church were briefed by their lead fundraiser John LaFramboise on fundraising efforts, as well as the work plan for this year. 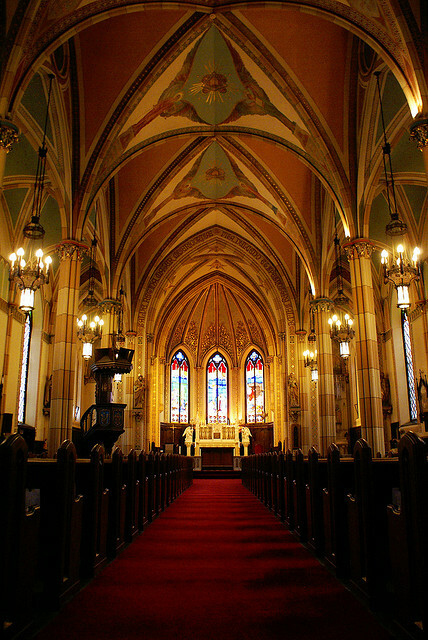 We’ve covered Assumption Church’s plight extensively in the past, and its need for $9.8 million dollars in repairs. Assumption’s parishioners have raised over a million dollars on their own so far. This money comes from both pledges from parishioners and revenue from the neighbouring parking lots, which is gifted from the Diocese to the Parish. Still, over 7 million dollars will have to be raised from the community. The Diocese of London has also loaned Assumption $500,000 to accelerate the work that needs to be done. Work to restore the landmark (the oldest Catholic church in Canada west of Montreal) is expected to get underway April 1st. 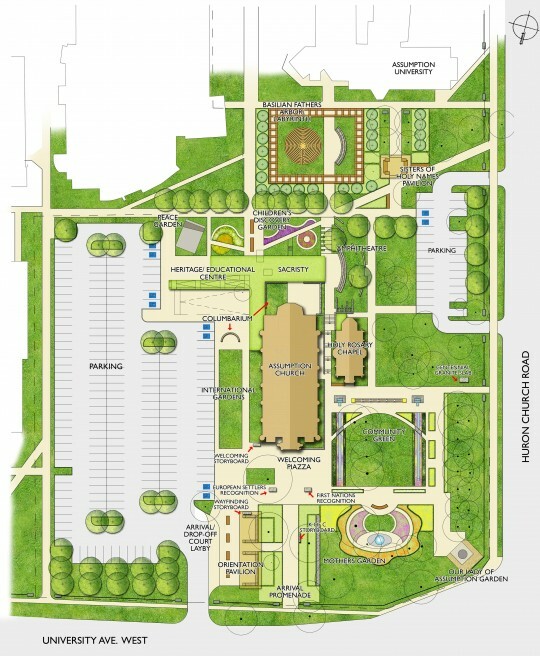 Plans for 2011 include the removal of the asbestos in the basement and crawlspace area below the main body of the Church; installation of a new heating system, which will also have the capability to have air condition piped-in, something the Church has never had; a work staging area will be constructed along the east side of the church, and the entire east wall of the Church will have scaffolding placed around it. Work will pick up from where it was left off 5 years ago when the project began originally. It is hoped to have two full bays (the structures that support the ‘turrets’ on the sides of the church) of the Church fully restored by winter. Changes will also happen on the grounds of Assumption. A statue of the Virgin Mary that has adorned the lawn next to the parking lot for many years will be moved along with surrounding gardens. The statue will now look out onto the intersection of Huron Church and University. 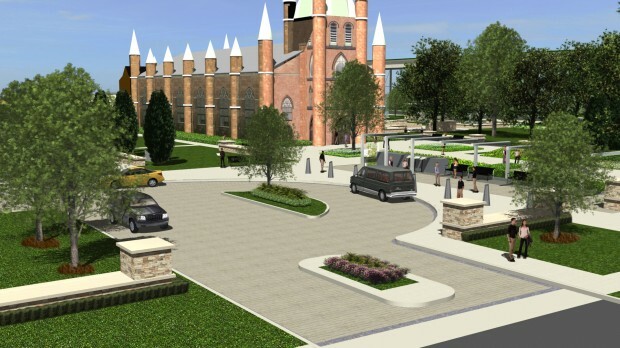 The entrance to the parking lot, frequently used by students at the University of Windsor, will be re constructed and an arrival and drop-off driveway area will be built where the current statue sits. The wrought iron fence that surrounds the church property will be extended to front the parking lots. Changes in the configuration of the parking lots will also take place, and the lots which are two now, will become one. We’ve followed the story of Assumption Church from its pending closure in January 2008…to the announcement of the formation of the Trust in September 2009…to last fall’s open house. windsoriteDOTca will continue to follow the multi-year, multimillion dollar restoration project as it procedures.